Joy was running large into the group of 2-3th grade, two times Agility and one Jumping. A very cosy day, lovely sunny weather, good organised...and nice runs ! Four weeks ago I had started a course of the new sport Hoopers with my young dog Jett. On this day there was also a Hoopers-match organised and the trainers asked me to run a little Hoopers-course with Jett. 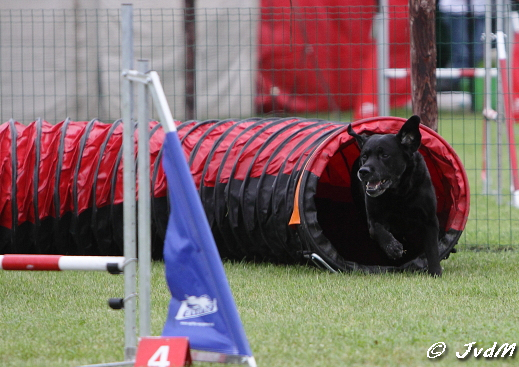 On the video the result...I was very proud of her, this is a nice start to the training of agility!! 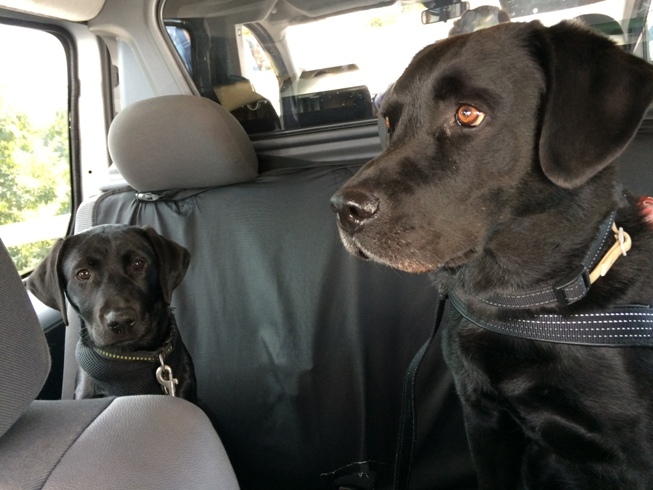 I had entried with both dogs Joep and Joy, but Joep died abruptly on 28 June....so Joy had to do by her own ! ready for our journey to Chech Republc! 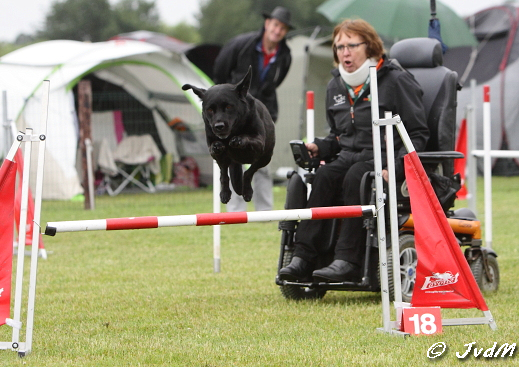 On the firts day Joy reached 2th place on the first Jumping of the Championship. 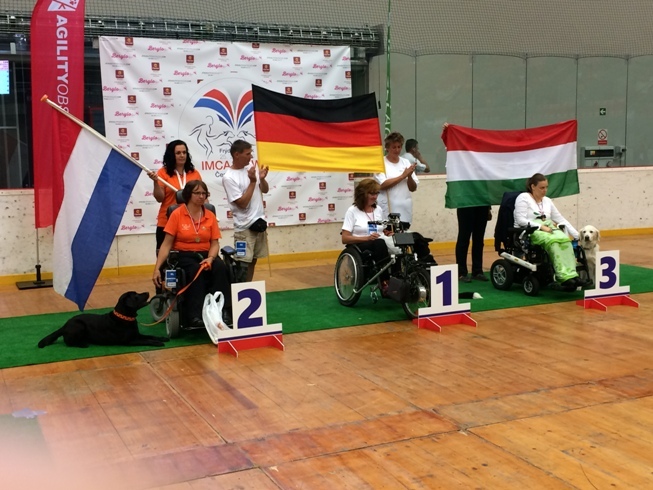 On the second day, an Agility-course, the first result had given an 3th place for Joy...but the secretariat had forgitten to mention the fault. That's absolutely not fair and of course I had given report of this! This changed for us into a 6th place for this day. 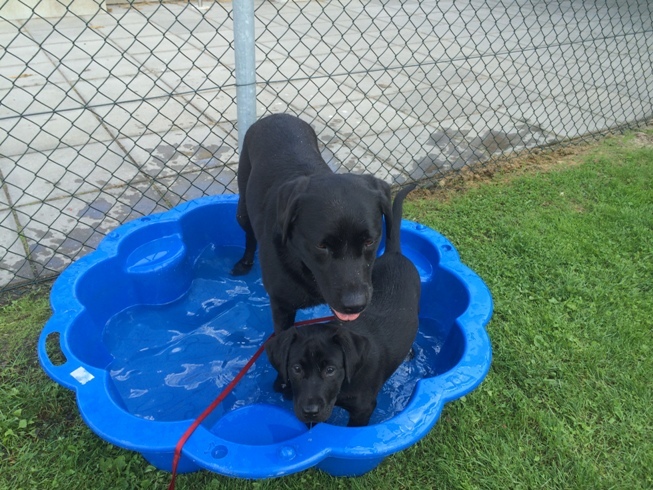 My little girl Jett, just 4 months old, was go with us on the Openings- and Closingsceremony of this PAWC. Next year we will go to Austria and in 2017 United Kingdom, there Jett will make her debut! Open Classe match for Joy, judge Rudi Mauriks who had make very nice courses. Joy started with a very nice clear round, but not on the other courses that day. 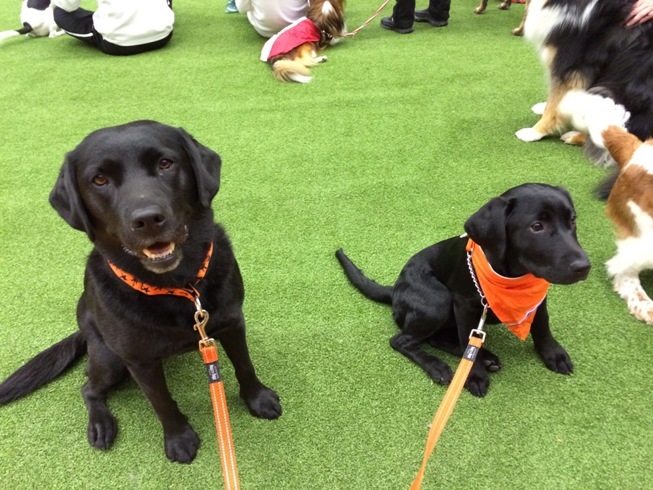 My young dog Jett (almost 3 months old) was with us, to taste the atmosphere of agility-match. Open Classe match for Joy with judges Rob Balt and Gert Meerholz. 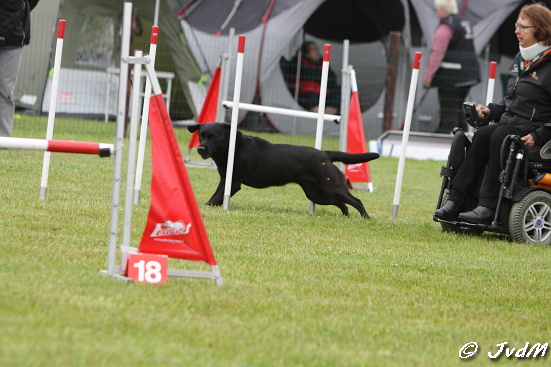 The start, an Agility Course, a very nice run, in spite of a refusal on the weaves. 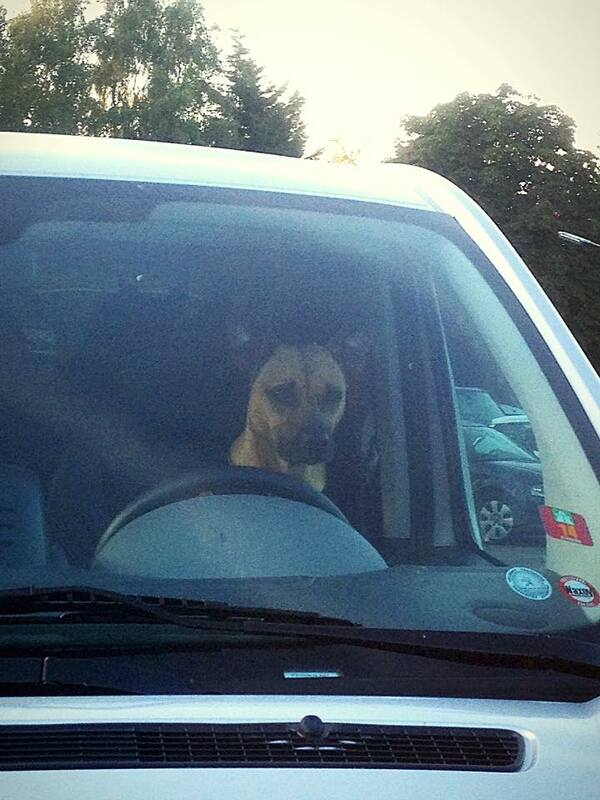 By Jumping and Gambling some faults, but with a good feeling direction home again! 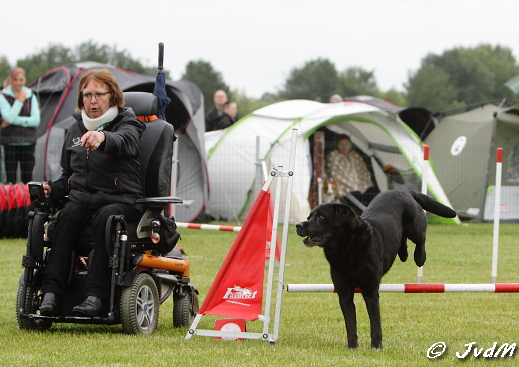 For 3th time was organised the Dutch Championship Para-Agility, again on location Holten and together the agility-match " De Grote Prijs van het Oosten". I had signed up with Joep as Veteran and Joy as large. Judges for this competition Bart de Decker from Belgium and Peter Borsje from the Netherlands. They will also judges on the IMCA & PAWC 2016 in Czech Republic. 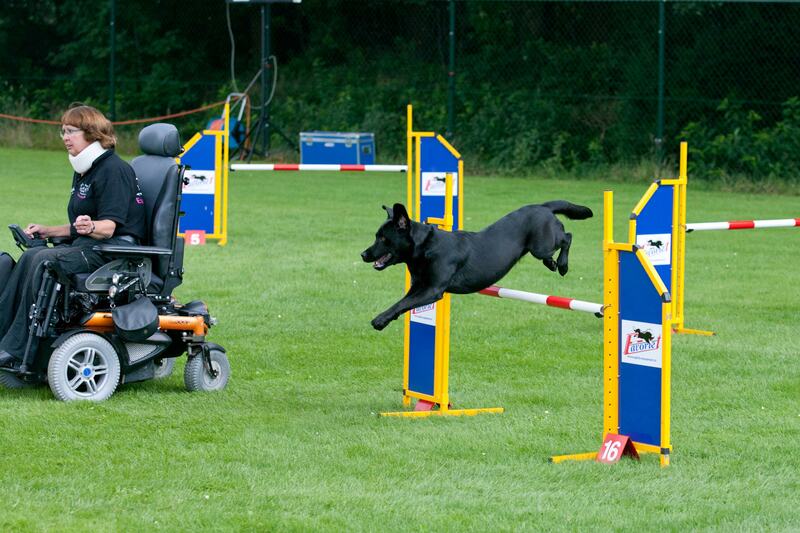 What I didn't know at that time was that this was the last agility-run of Joep. Coaches/teamleader: Gerry and Jan Barelds, Verena Boom. For Joy the B1 large ( 2th grade) competition-match of Raad van Beheer with judge Arjen van Gastel and Mark Fonteijn. 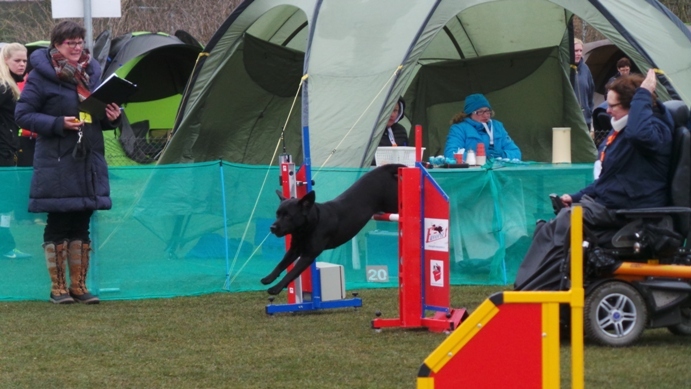 The Gamble a disqualification, but Jumping and Agility courses very good. 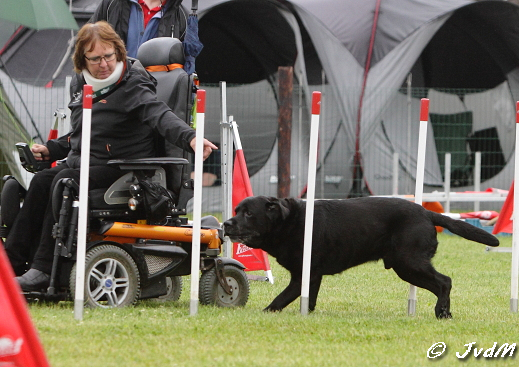 Mutual agility-match by KC Zoys, the dogschool where I'm training , and Joy entry for the match-group large. She had run nice courses. 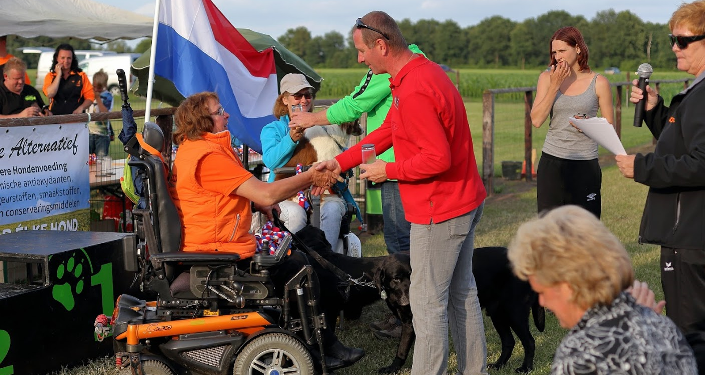 Joep was just recovered of a light injury, so for him only one course without competition, because he will take part into the Dutch Championship Para-agility on 19 June. 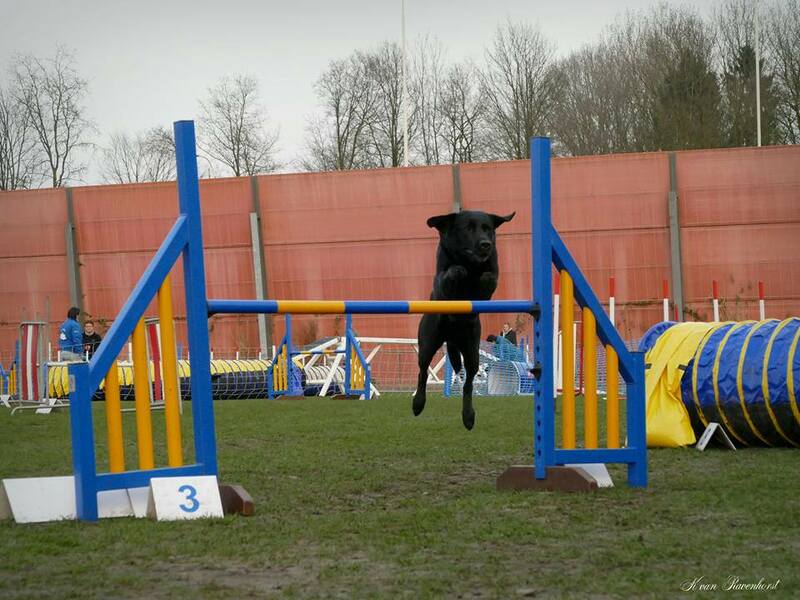 Joy signed up for the Open Classe on the agility-match organised by Agility Friends on Animal Event in Hilvarenbeek. 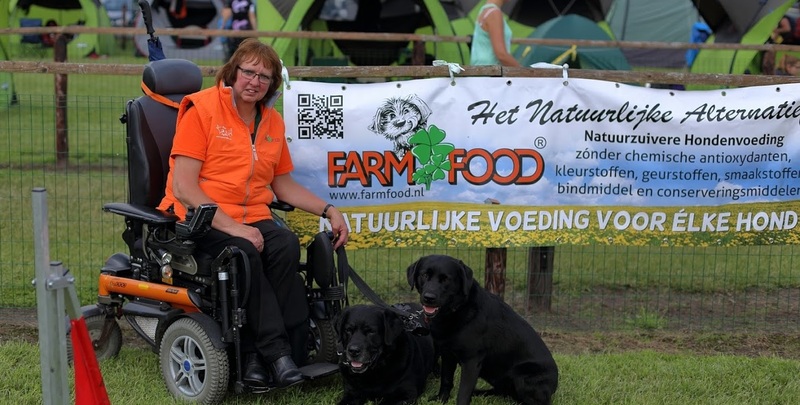 Judge Ron van Straten and on the both courses we have Disqualification......but I wasn't discontented because on several botthlenecks for me and my wheelchair we did succesfull. Early get up to take part into the match of Raad van Beheer in Venlo. 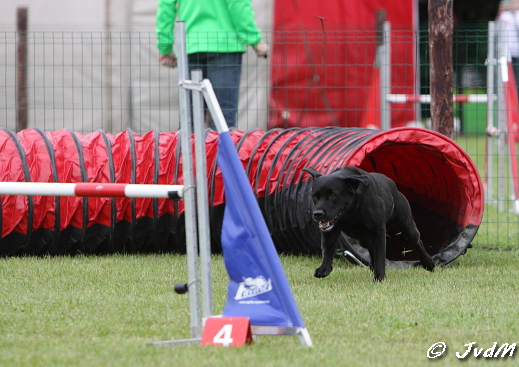 On the Agility-course we have a nice run with only one fault.....so 17th place of 50 competitors! 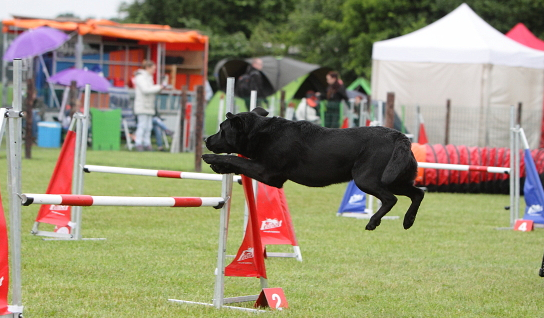 With my young dog Joy we have take part into the Dutch Agility Competition by Raad van Beheer,in classe B1 large (grade 2). Judges for this match Ben Gráfe and Jurgen Smit. Taking part into the Mutual- agilitymatch by KC Zoys, the club were I train with my dog Joy. Joep into the Veteran-classe large and Joy into the large. 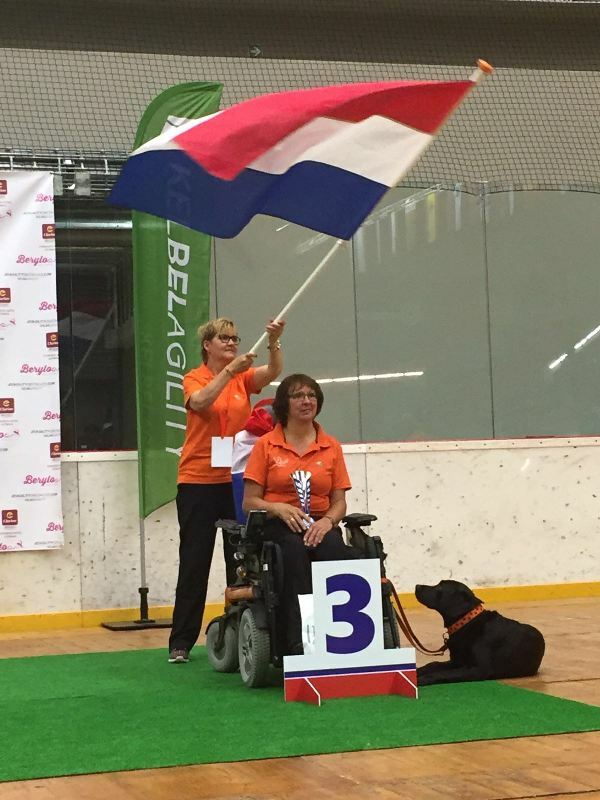 On 22 November, 20 December 2015 and 10 Januari and 7 Februari 2016 was organised an winter- agility-competion by Dogcentrum WRAF in Zeewolde by Mandy van Gelder and Ernest (judge of the competition). 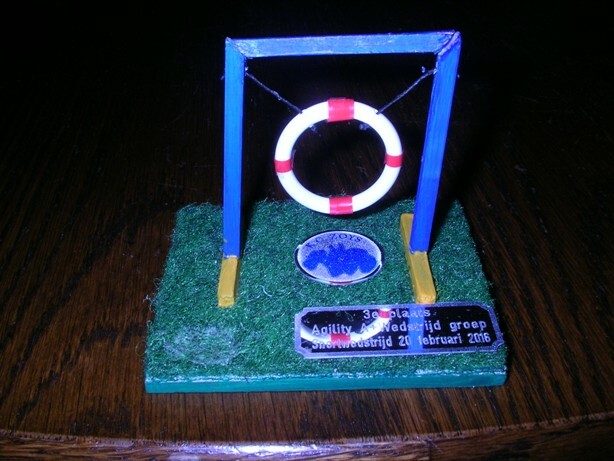 I was invited to take part with Joy and Joep. Joy was running without taking part into the competition, I'm training special with her and sometimes I have to stop the match...but we had fun! Joep was taking part as Veteran and became 3th place in Total Results.